Knowledge, commitment, experience, teamwork and above all honesty and integrity are what Pine Acres Realty is all about. 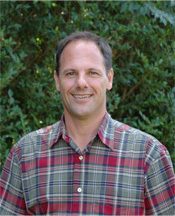 Dave DePasquale is proud to be associated with the Pine Acres Team. Dave moved to Chatham with his family in 1985. Since then he has been involved in many aspects of the community including the Chatham PTA, Rotary Club, Chamber of Commerce, Chatham Athletic Booster Club, and is a Captain on the Chatham Fire Department. Being a member of these organizations, he has been able to get a real sense for all that Chatham has to offer. Dave has recently completed a real estate Internet technology course that earned him the designation of E-PRO. This designation will help him provide his customers with a quick and efficient level of service while being less intrusive into his customers' daily lives. Purchasing your first home, a vacation home, or if you're considering selling your home, is a major process with many decisions and variables. Dave and the staff at Pine Acres Realty have the knowledge and understanding to help make that process a positive and successful one.